The kitchen cleaning service we offer to customers throughout Bow, E3 stands out with affordability, efficiency, and convenience. We are always at customers’ disposal, even on bank holidays and weekends. 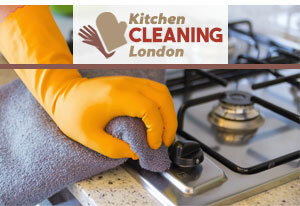 This is a comprehensive kitchen cleaning service as it covers all areas and appliances in your kitchen. Our friendly and dependable cleaners will remove grease, food deposits, limescale and burnt-on carbon from your appliances. All floors and work surfaces will be disinfected, using suitable, non-toxic detergents. In addition, the cleaners will wipe your cabinets, shelves, doors, and cupboards. We will be happy to hear from you and give you a free quotation, so make sure you call! If your kitchen has become filled with greasy stains, crumbs and needs thorough one-off cleaning, we can provide it ensuring its hygienic condition. Our company offers professional kitchen cleaning services in Bow, E3 which can be used in houses, rented flats, pubs, restaurants, hotels and other estates. The cleaning will be implemented with high-grade equipment of machines and tools, detergents and preparations. Our staff wipe and scrub the interior of ovens, microwaves, dishwashers and other appliances, soak and rinse their removable parts cleaning them separately. They sanitise furniture, fixtures and fittings, floors, worktops and sink areas removing limescale, grease, crumbs and stains from them. Have you ever though that the dirtiest place in your home may turn out to be the place where you prepare your food? That’s why it is important to have professional deep clean in your kitchen. It is not only about the look of your kitchen, it is about your health. We will not only put the things on their places and mop the floor, we will disinfect your kitchen with eco-friendly detergents. Your kitchen will look like never before- fresh, clean and it will be free zone of bacteria. We do understand the importance of the perfect condition of your kitchen and we can provide it at a budget-friendly price. We will wait for you in Bow, E3, where our office is located. Are you interested in having your kitchen cleaned by reliable and skilled cleaners? 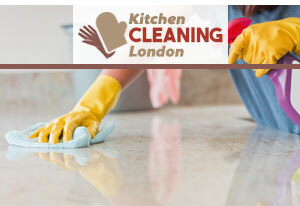 If the answer is ”yes”, our specialist kitchen cleaning services in Bow, E3 are just the thing you are looking for. We quote competitively and offer a service which lives up to the established standards of the trade. You will be serviced by referenced, fully-insured and hard-working cleaners, who have gone through an extensive training. We can visit you at a convenient time to disinfect your floors, descale your sink, clean your oven and refrigerator, and remove food and carbon deposits from your appliances, among other jobs. If interested, you can book us online or contact our call centre operatives!